Aaron joined Zenique Hotels with an extensive 18 years of experience in the industry. He has grown up in hotels working in every department and every position a hotel has to offer. Having a strong dedication to excelling in the industry, Aaron quickly found himself adding tremendous value to the hotels that he was a part of. Aside from working for franchised, independent, corporate owned and privately owned hotels, he has also filled positions for national brands as Quality Assurance Inspection, District Manager, and Regional Revenue Manager. 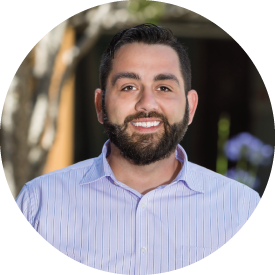 Combining this unique road of experience with his strong passion to create functional strategies in hotels, Aaron has built the Operational and Revenue foundation for Zenique Hotels. He is instrumental in the day to day success of the Company’s hotels and plays a key role in coaching and developing the People of Zenique Hotels. When Aaron is not brainstorming ideas on how to increase the efficiency at Zenique’s properties, he enjoys spending time with his Partner and dog in San Francisco where they enjoy photography, micro-brews, wine, and good fun with friends.